The BNC series is the most commonly used coax connector. 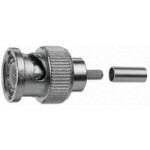 With the bayonet coupling this connector can be used up to 4 GHz. Both 50 and 75 Ω impedances.. 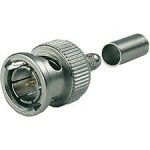 The N series is a very popular coax connector. 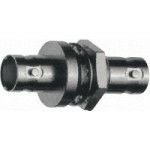 It is a medium sized, precision, weatherproof connector supplied with a screw coupling. In some applica.. 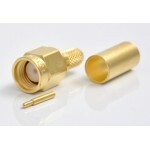 The BNC series is the most commonly used coax connector. 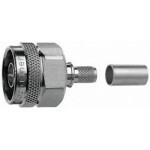 With the bayonet coupling this connector can be used up to 4 GHz. Both 50 and 75 ! 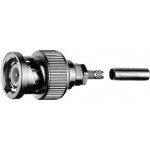 impedances.. 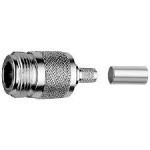 The BNC series is the most commonly used coax connector. 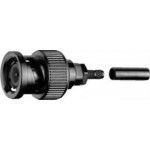 With its bayonet coupling mechanism this connector can be used up to 4 GHz. 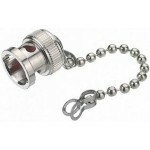 Both 50 and ..
Connector BNC RG179 Crimp Type .. 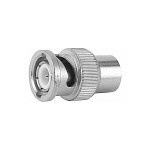 The SMA series is a very popular coax connector with threaded coupling, and can be used up to frequencies of over 18 GHz (depending on type). The impe..